Okay, okay, maybe The Legal Genealogist is never going to sound like a real Australian. Sigh… Australia is just gorgeous. Which, of course, means that time to write blog posts continues to be in short supply. But since nobody wants the blog to go totally silent while I’m off having fun, we’ll continue as time allows with some legal lingo and — as I warned you!!! — more than a few photos of Australia and its sights. I hope your hosts do not wear you out! Tariffs or no tariffs you are the most welcome US import. Hope all goes well for the Conference. What a handsome bird! Thanks for sharing the photo. I look forward to more like it. Great camera work, too. Nice photo – where I live on the River Murray there are families upon of families of these Kingfishers (Kookaburras’). Never a day goes by without seeing them and hearing them and no snakes within coo-ee hear. Most are tame enough to feed by hand and all sit in the trees waiting for each others turn to come down and take the food. Their feet and beaks hurt when they land on your arm which happens every so often. Plus other parrots etc; are fighting to be fed as well, but I would not give it up for quids. Can’t wait to see all of your bird (and other animal) photos from this trip! A couple of life birds, for sure!! Australia is such an inspiring country to visit! From the sights to the wildlife, I can imagine how much there is to see and capture for memories to last a lifetime. I could see myself killing my iphone 7s battery quickly, just capturing so many pictures and videos of my experience! 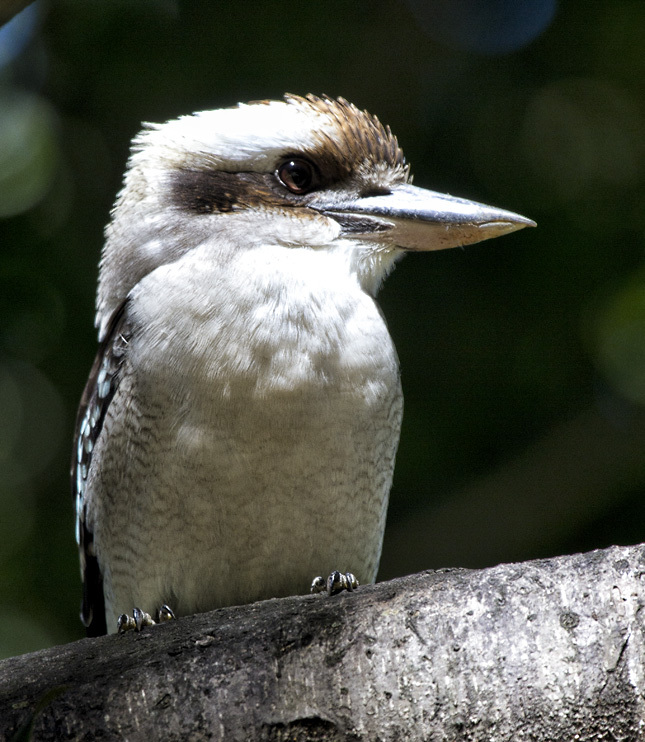 Your Kookabura picture is beautiful! Can’t wait to visit and take some of my own! Just clicked about the date time line. That works out to you’ll be arriving the same time you left Aus. Now that’ll make it more confusing as one scratches his head!! MM what time was it I took that photo?? Regardless I hope that your visit here will be a rewarding experience for you and that it will stay with you forever, and possibly bring you back for a not so hectic visit. not to mention the flying time on top o that ?? It’s a great time to be in Sydney. Autumn is my favourite time here, not too hot or cold, and the rainy month has been kind this year.